The concepts of ethical fashion, eco-jewelry, environmental stewardship, sustainability and transparency are being discussed in all sectors of our lives, from housing to fashion and from jewelry to beauty, including all types of accessories. A woman who brings this all together is Kate Black, author of Magnifeco: your head-to-toe-guide to ethical fashion and non-toxic beauty. One of the jewelry producers mentioned in Magnifeco is Golconda. Shown here is a pair of responsibly-sourced gemstone and gold earrings designed by Reema Keswani. Black’s list of jewelry designers who incorporate socially responsible and sustainable materials includes Natalie Frigo. Shown here is a ring made of hand-enameled recycled brass set with a gossular garnet. Green Queen Deborah Lindquist is on Black’s list of recommended fashion designers. She creates eco-conscious wedding gowns, fashion, accessories and home decorative items from a blend of sustainable, organic and recycled materials. Shown here are vintage parachute skirts and vintage sari bomber jackets. From her Conceptual collection, comes this responsibly sourced sterling silver 'concept' necklace by Alexandra Hart. Made of vegetable-dyed braided cotton, gold metallic thread and amber glass beads, this 'Agni' necklace (convertible to a belt) by Love is Mighty was inspired by the way that women of the Rabari tribe use braided, beaded threads woven through their hair as ornaments. Green Queen Deborah Lindquist also creates fashion for pets, such as these Cashmere Dog Sweaters with Appliqués that are handmade with eco-conscious and upcycled (reincarnated) cashmere. In the shoe and accessories category, Black lists the brand, Love Is Mighty. Among its creations are these pumps made from rare vintage embroidered textiles. Love is Mighty founder, Monisha Raja is adamant that no animal be harmed in her stylish creations. 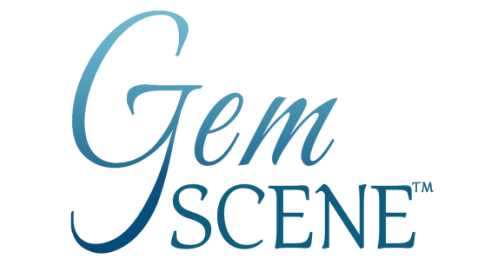 For more on eco-friendly gems, jewelry and fashion, click on Eco-Gems & Eco-Jewelry and Eco-Trends. For a comprehensive, yet very easy-to-understand guide to ethics in fashion, jewelry, beauty and the environment, Kate Black has bundled all her knowledge into one informative book, Magnif​eco: your head-to-toe-guide to ethical fashion and non-toxic beauty. Black has written a great many articles about designers and eco-fashion, and is also editor-in-chief of Magnifico.com, which serves as the basis for the book. The founder of EcoSessions®, she offers a global platform bringing together designers and consumers to discuss ways to change our current thinking and actions. Black’s book includes highly documented and instructive chapters on clothing, beauty products, jewelry, handbags, footwear and even a chapter on post-purchase. Throughout each section, the author details how we are drowning in chemical pollutants that can not only harm us, but also how we are unwittingly supporting brands that are less than ethical in their use of these chemicals and the people who work in the supply chain. As she quotes Edward Zwick, “When we buy things in one place, it has repercussions someplace else.... When we put our credit card down, we endorse a corporation and their practices and what it takes, and how it affects thousands, if not millions of lives.” Today, when referring to high-end items made with great attention to detail, the author writes, “In the context of ethical fashion, luxury and its associated meaning are being re-examined. Our perception of luxury, and the brands traditionally associated with that term, is becoming dated and jaded. While Black readily admits that it may be hard for us to give up our favorite products, her book is a great resource for consumers who want to gain insight into these complex issues and, at the same time, learn about practical ways to lower our toxic load. As part of this, she provides the acronym V.A.L.U.E. Each letter correlates to an ethic that helps us buybetter while decreasing some of the burden on the industry. V - (Vintage) Does it already exist? A - (Artisan) Does it support craft, empower women, or alleviate poverty? L - (Local) Does it serve my community? U - (Up-cycled) Does it save something from the landfill? E - (Ethical) Does it support human, environmental or animal rights? In the chapter on jewelry, Black highlights how the sparkly, shinny adornments we wear often have a very dark beginning. In many cases, the mine to market supply chain lacks regulation and transparency creating a catalyst for civil war, human atrocities, child and forced labor, and environmental catastrophes in third-world counties such as the Democratic Republic of the Congo, Sudan and the Central Africa Republic, among others. While poor working conditions and child labor have historically been synonymous with the manufacture of cheap clothing in the apparel industry, the movie Blood Diamonds and various campaigns such as Dirty Gold have truly exposed the dark side of commodity mining, thus helping to create consumer awareness. There is an increasing call within the jewelry industry to find ways to ensure that the source and supply chain are more transparent. Black suggests lab-grown or cultured diamonds may be an alternative, explaining that a diamond can be grown in a laboratory with the same quality and purity as an earth-mined stone without any potential involvement in conflict, although she does not go into the sustainability of the processes involved. The goods news is that, in recent years, several initiatives have been undertaken to effect change. Fairtrade International has taken steps and advises consumers to look for certified Fairtrade gold and silver that is ethically sourced and traceable. The Kimberly Process Certification Scheme was established to monitor the flow of diamonds from mine to consumer. Black’s sources note that efforts to date are less than perfect and transparency remains illusive, but at least the process is in place. ​ The author discusses the illegal use of wildlife products that are threatening the survival of a number of species around the world. She also talks about low-cost metals, such as some brass and inexpensive costume jewelry, which may contain toxic levels of hazardous chemicals, including lead and cadmium. For consumers seeking socially responsible jewelry, Black provides a shopping guide that includes a number of brands and designers such as Golconda, Natalie Frigo, Adele Dejak, Alexandra Hart, CRED, Dirty Librarian Chains, Eco Lustre, and Fonderie 47. They are proactively committed to ethical and sustainable jewelry. Created by Leanne Mai-ly Hilgart, Vaute Couture is a Vegan fashion brand, creating fine products that use no animal products, and is among the cruelty-free brands listed in Black's book, Magnifeco.